Maria Gallo brought her love of rugby to four world cups over a 15-year competitive career. Now an instructor at the School of Kinesiology and the head coach of the women’s rugby team, Gallo is thankful that she still continues to learn about the things she is passionate about. After receiving her undergraduate degree at the University of Guelph in biomedical science, she thought — just like everyone else — that she wanted to become a doctor. But as an athlete on the women’s national rugby team, she knew that medical school would put an end to her rugby career. Instead, she pursued graduate studies at the University of Alberta. In addition to accomplished rugby and academic careers under her belt, Gallo has also tried her hand at bobsledding. After a friendly recommendation and a successful tryout, Gallo was competing with the national bobsled team within a month. She found that her physical strength was a key asset in becoming a brakeman. “My bobsled career was pretty short, it was only two seasons. At the time, the reason I was keen to do it was because the training for bobsled is very similar to the training that you need to do in the gym for rugby. You’re basically a power athlete in both of those sports,” Gallo explained. There is a trend of rugby players evolving into high-level competitive bobsledders. “It’s a natural transition in the sense that you just need to be raw power and [rugby players] will make good brakemen if they stick with it,” said Gallo. Although Gallo is no stranger to scars, broken bones and concussions through rugby, bobsledding is more dangerous in that you have less control as a brakeman at much higher speeds — she trusted the driver of the bobsled with her life. Gallo’s move to UBC was not an athletics-fuelled one as she felt the next natural step in her research was a post-doctoral fellowship. After competing in the 2010 Rugby World Cup in England, Gallo retired on her own terms from professional rugby. At the end of her one-year post-doctoral fellowship at UBC, Gallo became a kinesiology instructor. While her language in the classroom might be a bit less profane than it is on the field, Gallo sees her position as an educator as similar to coaching. 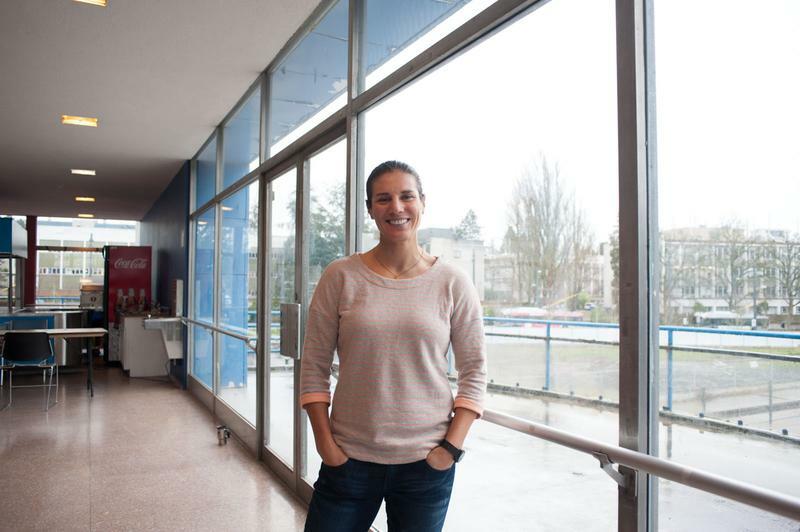 Although many may find Gallo intimidating upon first interaction, whether she is shouting at you on the pitch or calling upon you unexpectedly in a lecture hall, she believes in engaging closely with UBC students. “I don’t just want the student to sit there passively absorbing information, I want them to be involved in discussions. I give them a fair warning on day one,” she said. Former head coach of women’s rugby Lesley McKenzie, with whom Gallo played with on the national rugby team, invited her to become the assistant rugby coach in the 2011-2012 season. Gallo became head coach when McKenzie left two years later. Gallo hopes that her legacy to the women’s rugby team will be seen in the effort she puts into recruiting the top talent in BC. She’s also been frequenting trips to the Prairies, where she believes untapped rugby talent may lie.